The manuscript of this story, more the size of a novella, was found in Laura's possessions after her death. 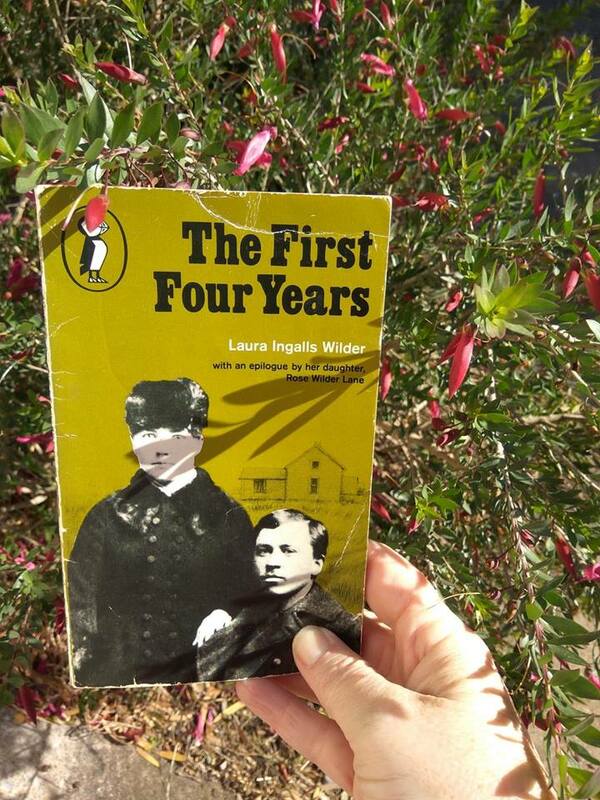 It would have been a great discovery for readers who thought it all ended with These Happy Golden Years. 'But wait,' the publishers would say. 'There's more.' My little old Puffin has a terrible looking photoshop job on the cover, but I was still happy to pull it out and get stuck into it again. 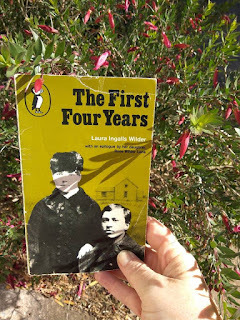 The start takes us back to the end of the last novel, when Laura and Almanzo take a buggy ride to discuss their wedding. This time, there's an additional bit that didn't make it into that story. She's decided she doesn't want to marry a farmer after all. (Nice thing to tell a guy when you've been wearing his ring for weeks.) I can understand Laura's train of thought though. It's such a hard life for a woman, because she works so constantly, but is always broke. Meanwhile, the more chilled and relaxed people in town are happily earning money off her family. 'Can't you do something else?' she asks. Almanzo's reply is along the same lines as his parents' reasoning in Farmer Boy. Farmers are independent, they answer to no man, and have the potential to earn far more than townies if they're willing to work hard. He suggests a three year probation period, and if she's still not happy at the end of it, he'll seek some other vocation. Later he convinces her to extend it to four years. So this little book is all about how it turns out for them. I like the bold way they begin married life. Laura's courageous nature always impresses me. This five foot tall teenager is game for anything. She scolds a bunch of Indians for standing around in her barn, then hauls off and slaps one in the face. On another occasion she seizes a pitchfork with the intention to scare some howling wolves from their sheep. Luckily the pack has moved further on, but when Almanzo asks her what she would have done, she says, 'Driven them away, of course. That's what I took the pitchfork for.' I wouldn't ever mess with her. Some more personal, potential personality clashes pop up occasionally, giving the impression that Laura was supporting her position through the pages. Like the time Pa called them crazy for taking newborn Rose out to visit in sub-zero temperature. Laura knows her baby was fine though, because she was well rugged up, and obviously made it unfrozen. She defends herself to generations of readers, whether or not she did to her father's face. At other times she thinks her husband's easy-going nature might be taken advantage of by such people as the neighbour who borrows and wrecks their tools, then fails to return them. More than once, she thinks, 'Oh well, that's Manly's business, and he's not worried.' I can imagine her saying it with an edge to her voice. 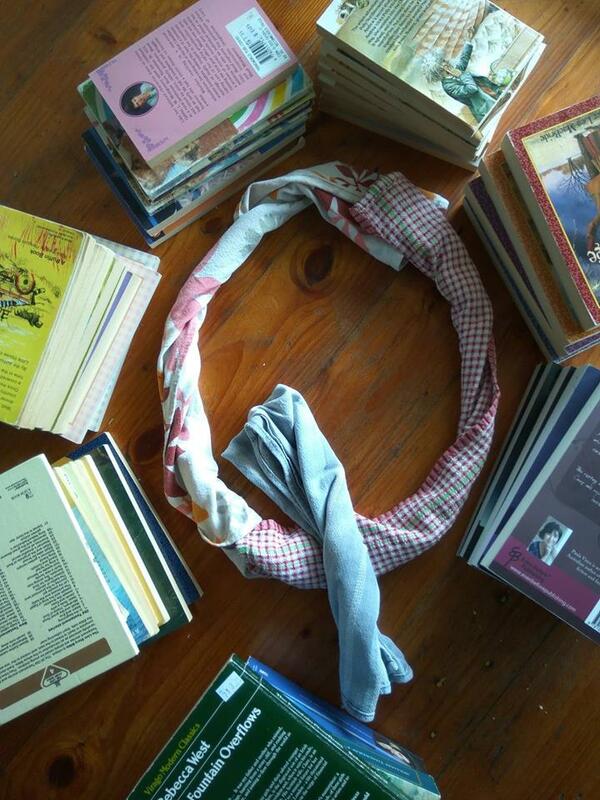 Most of all, so many of us relate to her love of books. A kind neighbour brings her a set of Sir Walter Scott's Waverley novels, which Laura credits with helping her through a hard pregnancy. 'She forgot to feel ill at the sight and smell of food, in her hurry to be done with the cooking and follow her thoughts back into the book. She brought some of their magic and music back into the little house with her.' Yes, don't all bookworms know that feeling. But how about their deal? It seems the great blessing of their daughter Rose's birth is offset by several sudden disasters. A freak hailstorm can ruin a year's good growth of wheat in twenty minutes. When diptheria strikes the family, poor Almanzo exerts himself too soon during convalescence and suffers a stroke that paralyses his legs, so it takes months to regain sufficient flexibility for work. There's the tragic death of their infant son, and a house fire that burns everything to the ground. (Why did that boy die, when he started with such a healthy ten pound birth weight? It was so sad.) Then speeding winds flatten more crops. They've obviously had to fight tooth and claw for every inch they've gained, so how does it all stack up when they reassess at the end of the four year time period? Somehow, he convinces her to keep going! You might ask how on earth did he do it? Reading between the lines, I think Laura might have caught some of Almanzo's gambling spirit, since their lifestyle is always a bit of a wager. They probably shared an unshakable feeling that giving up might be too soon, since one good year could turn everything right around. Since you never know when that good year might come, you might as well give it a little bit longer. I can see how that sort of gamble could become an addiction. And some people might say that describes all of life. One thing would've been clear to them, it was nothing personal. Several bad strokes happened to neighbours and complete strangers too, from death to total financial loss, which we hear about in small anecdotes. Although Uncle Sam gave settlers the incentive to go out and tame the rocky, barren country, it was an impossible expectation in many ways. I'm glad I wasn't around to make the attempt in their time and place, but glad they did it, for the sake of reading these books and what we can take on board from them. Next up will be On the Way Home. 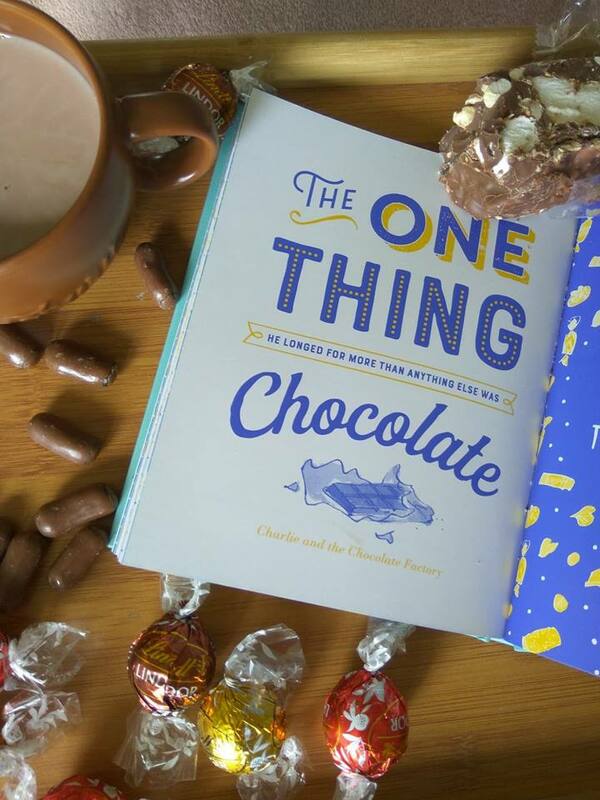 Books and chocolate are one of those matches made in heaven, but not all the time. 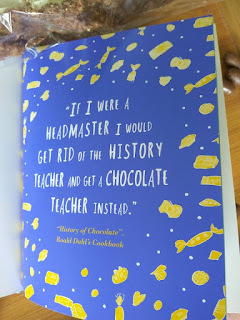 I couldn't eat chocolate whenever I read without busting both my budget and waistline. Every so often it's great for your soul to sample both together though, and here is a list of recommendations for those occasions, because many authors and storytellers seem to understand the tantalising pull of delicious chocolate. When I started trying to brainstorm, it occurred to me that stories with chocolate seem to fall into three categories. Chocolate as Control. In this type of plot, we see the dark side of chocolate, and I'm not talking about dark chocolate! Something so delicious has the potential to be a real bone of contention. It's been used to twist people's arms, bribe them, and even cause occasional violence. There was almost too much chocolate for some of the characters to handle. 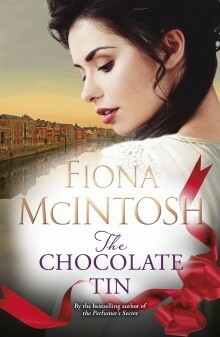 A young gypsy woman named Vianne sets up a decadent chocolate shop opposite the church in a small French village. Since it's the beginning of Lent, Father Reynaud is trying to keep his flock practicing self-denial. Her arrival is a disaster, and it's clear all through the story that an eventual show-down is inevitable. It's a classic, 'This town ain't big enough for both of us,' scenario, and he was there first. Of course we're drawn to ponder the nature of institutional authority, and question the point behind certain restrictions. The irony is evident, seeing chocolate is now synonymous with Easter, which Lent is leading up to. 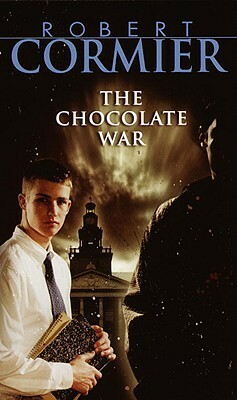 This young adult novel draws us right into conflict with a capital C. An annual school chocolate fundraising sale becomes the scene of a power battle, and eventually outright war. A young student named Jerry Renault dares to stand up to the Vigils, a gang of thugs who try to dictate how many boxes he should sell, for their own agenda. When he refuses to be pushed around, they know their own credibility will be undermined unless they do something drastic and nasty. 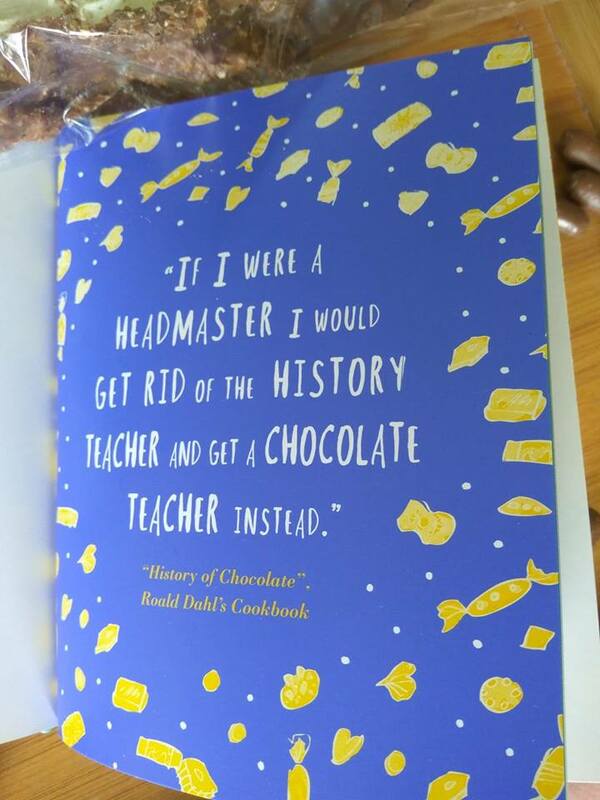 School politics becomes a mirror for life at large, and chocolate is just the trigger to set it all off. One of the feel-good musicals of all time. When Professor Henry Higgins first accepts his friend's challenge to make a common flower-seller into a genteel lady, Eliza Doolittle refuses to go along with the plan. She's no fool, and realises that almost all of the hard work and frustration will be required from her. But Higgins uses some ingenious, foolproof coercion to make her re-consider. 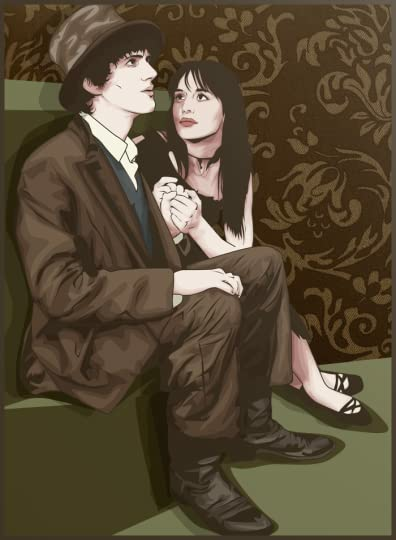 He simply offers her a chocolate. Eliza has tasted enough to have a weakness for this sweet treat, and decides if it's his normal bribe, it might just be worth the hassle of changing her whole persona. Chocolate as Misunderstanding. I guess it stand to reason that mix-ups can occur in plots about chocolate, since chocolate boxes come mixed themselves. The story is set during World War One, and the Rowntree family have organised a shipment of their famous chocolate tins as morale boosters for the soldiers in the trenches. One day a volunteer packer named Alexandra makes an impulsive, random addition to one of the tins, which comes back to bite her a few years later. I loved the tasty premise, but this wasn't my favourite book. Review is here. Poor Ron Weasley has a really terrible 17th birthday. Never one to resist a treat, he gets stuck into a box of chocolates in the boys' dorm, but they've been laced with love potion for Harry by one Romilda Vane. And then the antidote itself turns out to have been poisoned, which sends him to the hospital wing lucky to have escaped with his life. It's the start of one of my favourite ever kids' series. 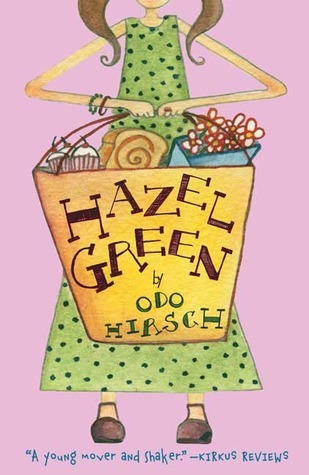 Hazel's good friend Mr Volio the baker has a top secret recipe he'd like her help to name. It has a shortbread base with toffee, strawberries and custard, all in a delicious layer of chocolate. 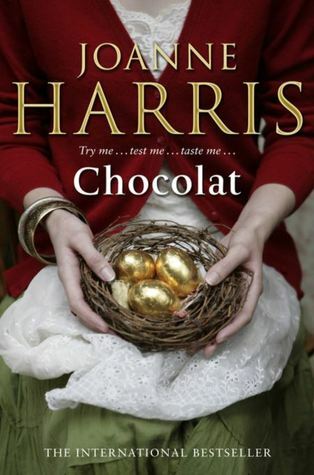 But when the Chocolate Dipper is christened, he accuses Hazel of leaking his secret to a rival baker, Mr Murray. The evidence against her looks bad, and she must work hard to fix the misunderstanding. Here is my review. Chocolate as Cure and Treat. This might be the best way to enjoy chocolate in both stories and real life. After the chilly, soul-sucking dementors have swept aboard the Hogwarts Express at the start of Harry's third year, the new teacher Professor Lupin has the antidote to drive their awful influence away. Chewing a square of two of chocolate is an instant mood booster. Even muggles understand how dark chocolate contains good endorphins to help fight depression, which has a similar effect to dementors. Wizards and muggles alike are warned to make sure it's used just as a short-term pick-me-up though. This story must surely be the ultimate celebration of chocolate. The enigmatic Willy Wonka has decided to show five lucky golden ticket winners through his incredible chocolate factory. The tickets are floating around the country in random chocolate wrappers. After the first four are confirmed, Charlie Bucket gets lucky for once in his destitute little life. 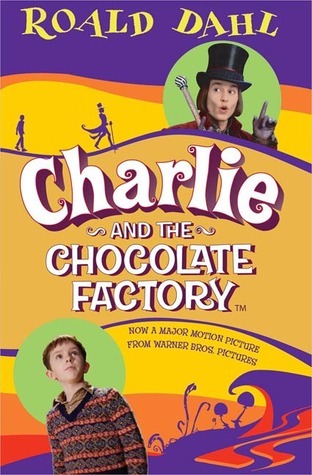 Later as his four bratty companions are picked off one by one, he and his Grandpa Joe are in for the ultimate chocolaty surprise. Can you think of any more stories that feature chocolate? 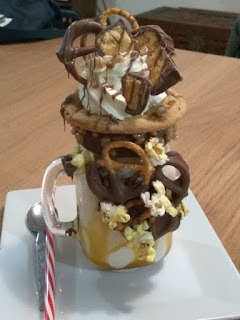 That loaded milkshake photo was a creation my daughter made one evening. She offered her brothers a homemade treat, and their eyes popped out of their heads when they saw what it was. Working on this list makes me want to drive to the shop for some right now, but I guess one more incident some of us may choose to forget is that Monty Python scene with the big guy at the restaurant, when they offer him one last after-dinner-mint. If you've seen it, you'll know just what I'm talking about. This is my choice for the Crime Classic category of the 2018 Back to the Classics challenge, and what could be better? 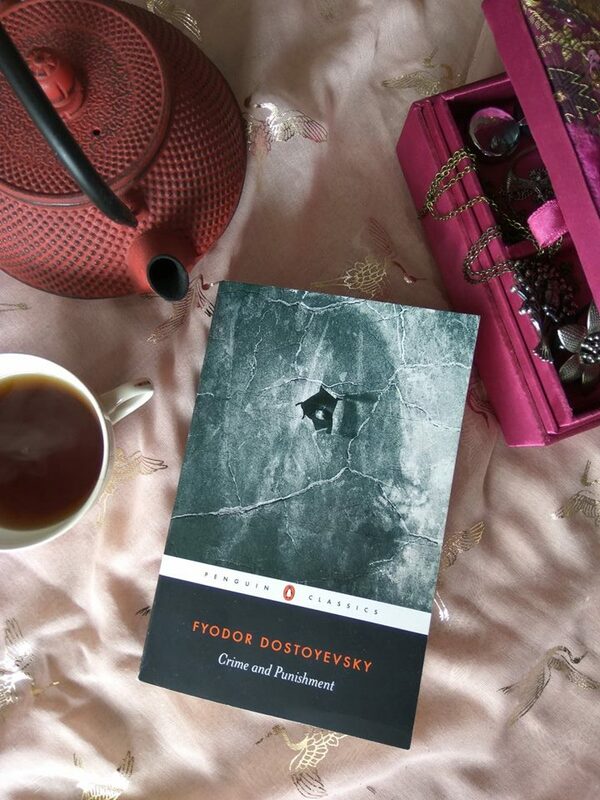 I enjoyed The Brothers Karamazov, and psyched myself up for more Dostoevsky. The title sounds reminiscent of Jane Austen but with a grim twist. That matches the hero, who's a prototype emo kid from the nineteenth century. Rodian Romanovich Raskolnikov is an impoverished Uni drop-out living (or existing) in St Petersburg. He's stand-offish, proud and resists the sympathy of his family and best friend, who all keep loving him anyway. He's perfected his, 'Leave me alone, I'm tired,' line, and even in his good moods, he's like a tinder box everyone is nervous about sparking off. He even looks the part, with his pallid complexion, and dark hair and eyes. But we're told from the start that he's devastatingly handsome. He has his creepy smile down pat too. It popped up so often, I started making a list. To mention just a few occasions, he gives a distorted smile, a poisonous smile, a thin, ironic smile, a cold and casual smile, an odd, self-disparaging smile, and a vacant smile. He also has a silent, caustic smile, a hate-filled, supercilious smile and a malevolent smile. To cap it all off is his lost and ugly smile. The only sort never forthcoming is a friendly and open smile. So that's our guy, now on with his story. Raskolnikov's redeeming characteristic is his concern for underdogs who can't defend themselves. But he has too much time on his hands and over-thinks way too much. He devises a terrible plan, which he forces to fit his personal ideology. Not far from him lives a mean old female pawnbroker named Alyona Ivanovna, who Raskolnikov perceives as the embodiment of everything wrong with the world. She preys on the poor and beats her feeble-minded sister. Since she's a louse in his opinion, he decides to kill her, then use her money to help the poor. He hopes to become a folk-hero like Napoleon, a person who the normal restraints of the law no longer apply to. He reasons that he'll be doing the world a favour when he exterminates Alyona. We go along with him for the ride, as he commits the crime and deals with the aftermath, which begins immediately, when her sister unexpectedly walks in. Raskolnikov takes an interest in a girl named Sonya Marmelodov, with clear, quiet eyes, because he sees in her a like mind. Sonya is willing to sacrifice her good name for the sake of others, by resorting to prostitution to help feed her starving family. In the same way, he reasons he's become a murderer to help release the world from tyranny. She's appalled like us when she hears his analogy, but by then she's fallen for that emo charm and handsome face. So there's a romantic thread running through the book too. 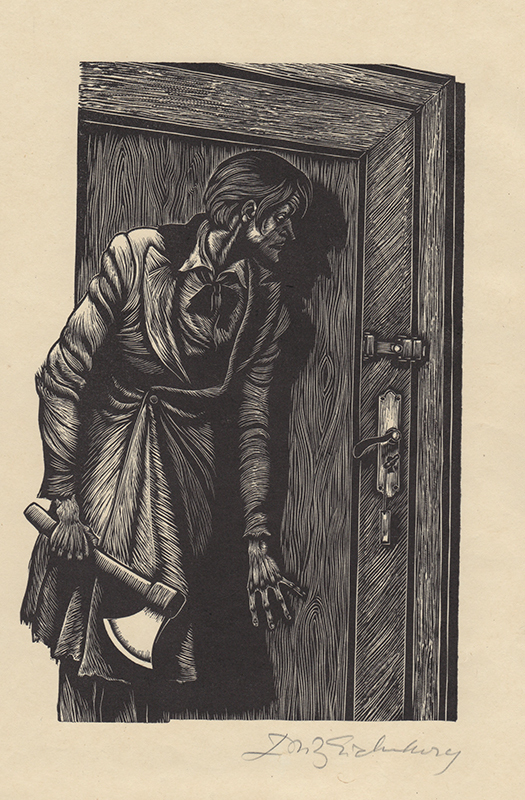 Sonya has a heart of gold, and some readers might think she deserves better than Raskolnikov, but since he's what she really wants, I guess you can say she earns her reward, even though an axe-murderer wouldn't be every girl's dream man. Dostoevsky might be hinting that we need a good, sound anchor for our thoughts, especially if they tend to veer on the intense side, and run all over the place. On the last few pages, Raskolnikov starts reading the New Testament, because he respects the kind and awesome person it helped shape Sonya into. So we would hope that it might help set some boundaries and parameters for his genuine, seeking heart. Yet it makes me sad to see that even well into his sentence in Siberia, he still doesn't repent of his crime, and defends his reasons for murdering Alyona. I wonder how often this story might have sparked anything dark in other readers, who took Raskolnikov's reasoning on board and said, 'Heck yeah, I can commit murder and justify it by becoming a philanthropist.' How many readers agree with him that some types of murder should be regarded as more acceptable than others? Or is assuming the right to decide whose life is worthwhile a heinous cheek, however you choose to look at it? One main theme might be not to get carried away thinking you're anything special, because when you imagine you're different from everyone else, you probably aren't. Raskolnikov learns this in retrospect. I doubt he's even an exceptional baddie, as many terrorists throughout the years have probably shared his train of thought. When we start regarding somebody as a symbol instead of a human being, we get into very murky waters and become dangerous. ('It wasn't a person, but a principle I killed.') Some might see him as a tragic hero, but I'll always think of him as the wiry 23-year-old male who murders a defenseless old lady in her own home. Since he's so passionate about being generous and defending the weak, there's a stinking irony there. If he really wanted to be a people's hero, why not choose a more threatening figure who might have a chance of fighting back? I'm not sure I completely agree with Razumikhin, but the story kept me turning pages, and had me reflecting that it's all too easy for modern westerners to sit back and judge people who are physically, spiritually and emotionally destitute. Who can say what we'd be driven to do under similar circumstances to these characters? It's a stark, oppressive novel in many ways, yet offers glimpses of optimism. The head of investigation, Porfiry Petrovich (quite a cool character) tells Raskolnikov, 'I know you don't believe it, but I promise you, life will carry you through. You'll even get to like each other afterwards.' Maybe that's what we should all take on board. If there can be a future together for an axe-murderer and a prostitute, I guess there's hope for any of us to shed our perceived labels. If you're interested in more, he's also on my list of characters who contemplate murder. Once I was sitting in my car, filling in time while my young son was at a birthday party by reading a book. I noticed that the letter Q was typed in a font I'm not familiar with. It had an odd tail squiggle that ended in a little flourish. Having noticed it once, these quirky Qs started leaping out at me from every second or third page. 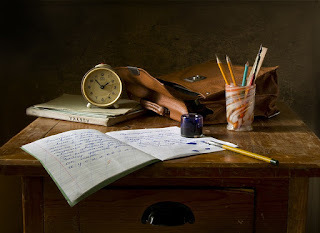 They were hidden in words such as equivalent, quiet, quilt, question, cheque, equal, quite, require, inadequacy, consequences, square and quality. As I had time on my hands, I grabbed my pen and note pad to jot down the words I caught them in. It surprised me that day that Q is actually such a well-used letter. I would've assumed it was one of the rare, dispensable ones we don't need very often. 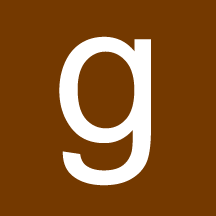 We groan when we pick up Qs for our Scrabble palettes, because we fear we'll be stuck with them. But to my amusement, I saw that Q is far more versatile and necessary than I'd ever thought. Imagine if those who make the rules decided we need only 25 letters in our alphabet instead of 26, and we had to boot one out. The Q might have been a big contender in my opinion. But if we dispensed with it, thinking that M, T, S, N, C and all the vowels are more important, I could see that we'd soon miss it and regret our low opinion. That started me relating to the letter Q in a more personal way. As someone who reads, writes and blogs, in moments of discouragement I'd think of myself as a more redundant person whose function isn't as important as those of others. I felt surrounded by the types of people who could be seen more like a D, T, S or N, P, M. Doctors, teachers, social workers, nurses, pastors and missionaries, you know, the vital difference makers. They add practical, positive input to people's lives. Somehow, I'd got the impression from people's luke-warm reactions as well as the solitude of my own craft that I was far more dispensable. But the letter Q shows me that's not true. We Qs are quite unique. 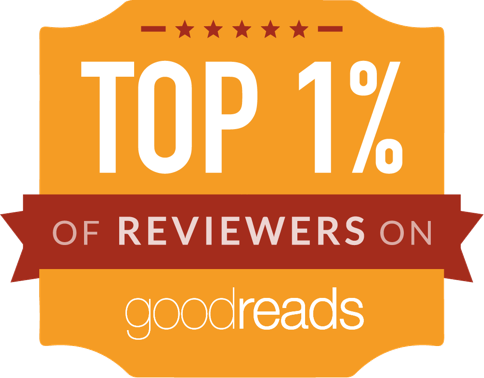 We might be writers, reviewers, artists, dancers, poets, thinkers, reflectors, and general noticers of what others might miss. Our role is more low key, but really vital. Some Qs are more arty and creative than others, but we all add spice to the world in our own ways. We might write material that works on people's heartstrings to amuse and inspire. We might draw deserved attention to what others have written or created. We might encourage people through the powerful medium of stories or images. We offer others valuable reasons to take a break from their everyday lives and bless them at the same time. We may provide the sort of uplift that could be over in a flash but adds flavor and optimism to someone's whole day. We are encouragers, story-tellers and purveyers of beauty. We don't necessarily earn congratulations or thumbs up, and people may gloss over what we do and move on. But if we stopped, I'm sure the world would notice and want us back, because we'd take lots of colour with us. Our quirkiness and quixotic qualities gives the world a unique burst of fragrance. There are a few Qs in that sentence. Are you a Q too, or do you know somebody who is? We should remember to affirm them when we think about it.